The control scheme is like Angry birds, but in 3D. Character selection was almost entirely arbitrary. A few simple obstacles meant that levels could be built relatively quickly. Since the levels were static, and relatively short, the time to get through them was very short. 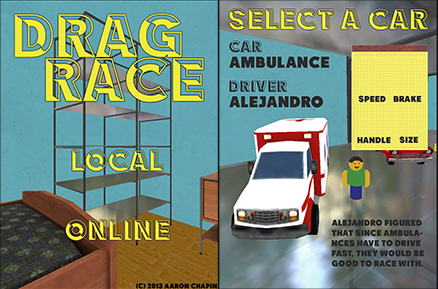 The first version of Drag Race was played on an iPad with up to 8 players. Players just had to push their car forward as fast as they could in a one-dimensional race. Following from that, this version of Drag Race was the furthest developed - it was a time-attack track racer. It had four fully-developed levels, and 8 playable characters. At that point, though, making enough bespoke levels to ake the game fun seemed too daunting so I switched to an infinite procedurally-generated approach. This version of the game controlled roughly the same as the later version. 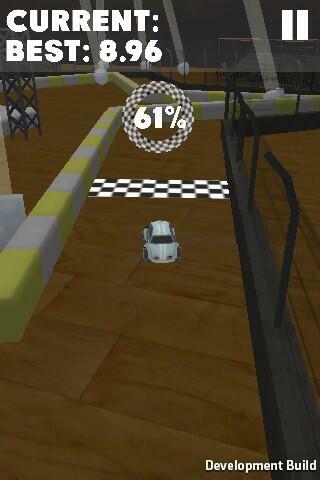 Players put their finger on the screen, and pull back, which determines the speed and direction of the car. When they release their finger, the car launches forward. 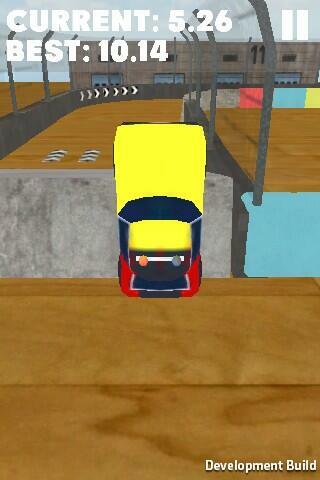 In narrow pathways, going full speed would result in crashing wildly into walls. 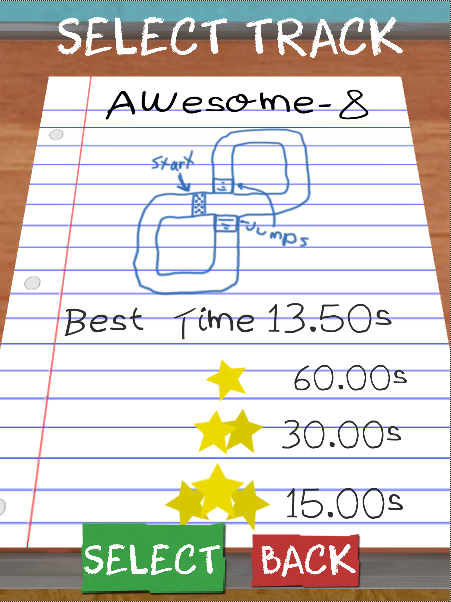 Go to slow, though, and you wouldn't have enough speed to make the wide jumps in later parts of the level.